Question: When should I choose a solid state relay over an electromechanical relay? Answer: In order to best answer this question, we’ll begin with a brief description of each type of relay, followed by a comparison of the two. An electromechanical relay uses moving parts that are tied to the contacts of the output to send a control signal. This movement is controlled by electromagnetic forces with low power signals. These power signals allow completion of high power circuitry to connect the load. 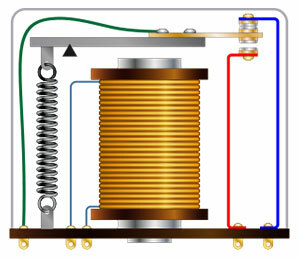 The solid state relay will switch using a small external voltage or current signals to the gate of a semiconductor. This means that the switch can change states with no moving parts involved, which will reduce the effects of vibrations and noise on the device. This relay is only available in single pull single throw configurations; but, this can easily be corrected with an intermediate relay. 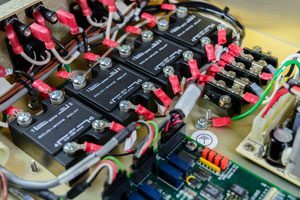 By comparing the benefits of each relay type with your application requirements, you will be able to make an informed decision on which will best suit your needs. Next PostNext What is Sick Building Syndrome and How Can You Prevent It?